The Mens Strone Jacket from Vaude is the perfect protection against the elements. 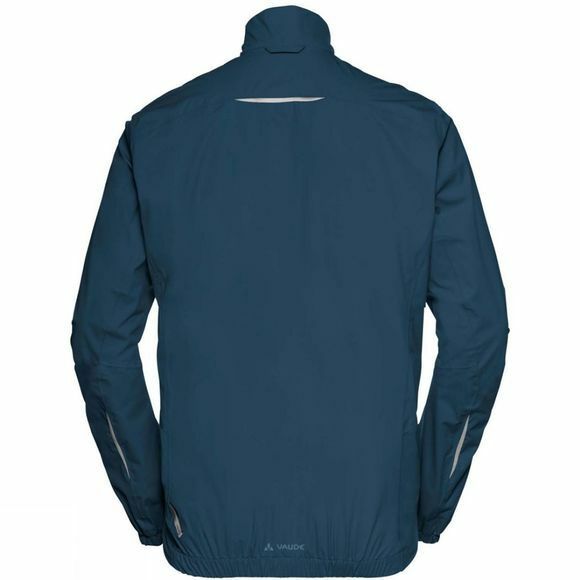 A sporty rain jacket that combines lightness with technical innovation and fits in your jersey pocket on any tour. The lightweight 2.5-layer jacket with a recycled Ceplex Green membrane from S-Cafe and welded seams is extremely breathable, windproof and waterproof. On high-energy tours, a print on the inside of the jacket will have you feeling dry while it keeps the jacket from sticking to your skin. An elastane blend provides additional freedom of movement when riding. Reflective elements round off the jacket's features and provide good visibility in bad weather or in darkness. 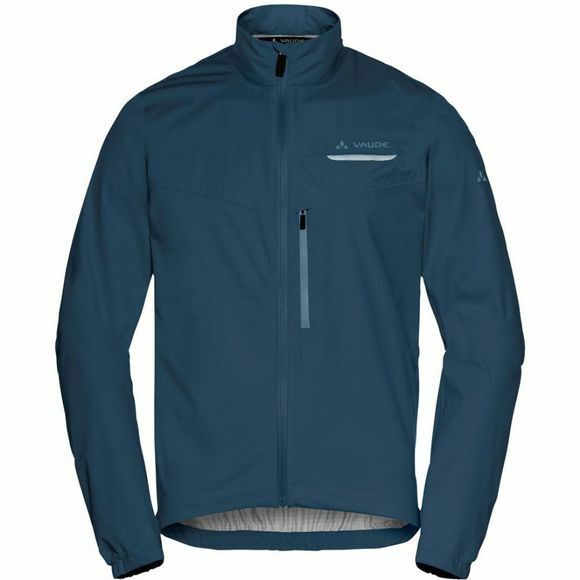 The jacket is made from a material certified by the strict bluesign system environmental standard that's comfortably lightweight and offers maximum functionality. The Vaude Green Shape label stands for environmentally friendly, functional products made from sustainable materials.